There are said to be more than 400 “Brick and Mortar” wineries in the Napa Valley. For such a small wine region, the distance from one end of the Valley to the other is 27 miles, that is an enormous density of wineries. Many tourists drive along Highway 29 and choose a winery to visit by whatever catches their eye. In most cases, one can expect the same in each of these tasting rooms: crowds, merchandise for sale, and a well-rehearsed spiel about the wines. Chances are the experience will be fun and enjoyable but nothing like the old days of the Napa Valley. This is where Bragg Vineyards comes into play. Bob and Anna Marie Bragg are the owners of Bragg Vineyards in Calistoga. Bob does it all as far as producing the wines. He tends to his 4.5 acres of Cabernet Sauvignon and makes the wine. Anna Marie helps with tastings and PR activities. Wine production is a mere 150 cases of wine, a far cry from the average Napa Valley Winery. If you visit, you’ll be treated to Anna Marie’s original art work and her flair for decorating. Bob Bragg was a successful trial attorney in San Francisco. He found visiting the Napa Valley was the best way to reduce the stresses of the courtroom. He and his law partner began looking for a Napa Valley retreat home and purchased this Calistoga property in 1995. Fifteen acres were planted with vines. Later Bob and his partner divided the property, with Bob holding 4.5 acres of Cabernet Sauvignon. These grapes were sold to the nearby Chateau Montelena winery. After retiring from his law practice, Bob began to learn both viticultural and enology. In addition to taking classes at a Napa J.C., Bob had plenty of friendly instruction from the many contacts he made at Chateau Montelena and other Calistoga wineries. In 2008 Bob went full tilt into winery business, launching his first vintage. Bragg Vineyards produces two 100% Cabernet Sauvignon wines each year, one from Padre’s Vineyard and the other from Mario’s Vineyard. The wines are aged one year longer than most premium Napa Valley Cabernets. Bob’s 2014 Cab is still in the barrel. He will bottle it in a few weeks. Age time in the bottle will be eight months to a year before the wine is released and sold. The result is a softer Cab, with a balance of tannins and acidity. These are very nice, food-friendly Cabernets. The Bragg Vineyards Cabs sell between $70 and $85. Similarly produced Cabs in the area sell for more than $100. If you are a cult Cab collector, put a visit to Bragg Vineyards on your list. Just about all farming and wine making is done solely by Bob. He does bring in a few helpers to prune, thin and help with the harvest. The only thing that is not done at the Bragg Vineyards winery is the bottling. For that aspect, Bob transports his barrels over to winery with a bottling line, and that makes for a smooth and easy bottling process for the Bragg Vineyards Cabernet Sauvignon. Many wineries use the term “Hand Crafted,” but in the case of Bragg Vineyards, that term is an exact description. Plan well in advance to book an appointment at Bragg Vineyards. Bob and Anna Marie have a home in San Francisco but spend most of the Spring to Fall months at the Calistoga home. There are also many excellent wineries in Calistoga worth visiting. We have outlined those in our Calistoga Wine Trail. Visitors to the Napa Valley often wonder what town in the Valley they should choose as a base while planning a wine vacation. “What town is the most fun?” we are often asked. Fun meaning good places to lodge, many choices for dining, boutique shopping, and of course wineries and tasting rooms to visit. The four major towns from south to north are Napa, Yountville, St. Helena and Calistoga. Janelle and I have stayed in each town many times over our years of adventures in the Napa Valley. Each town has something unique and delightful to offer. But if we had to make a choice as to which one was our favorite town, we would have to go with Calistoga. I don’t think Calistoga has changed much since I was a young boy. My parents would vacation in Clear Lake and we would always stop in Calistoga for a snack on the way to our Lake County camping spot. On our first trip together Janelle and I stayed at Dr. Wilkinson’s Hot Springs Resort, which today looks exactly the same as it did some 40 years ago. A trip down Lincoln Avenue in Calistoga is a trip down Napa Valley’s memory lane. Calistoga has always been, and we hope will always be, a laid-back town. The pace in Calistoga is less hectic and the shops and eateries a little more down-to-earth. It is definitely a quaint environment. We visit each December for Pauper’s Night at the Calistoga Inn. The natives come in droves and sing and party to Christmas cheer. It is an experience you won’t get in any other town in the Napa Valley. This year Pauper’s Night is Thursday, December 15, 2016. 707-963-4229 for hours of operation. What a fantastic idea for wine country travelers! Best breakfast spot is the Café Sarafornia. Why that name, you must dine there to appreciate. Best activity outside of wine tasting and boutique shopping is a stop at the Old Faithful Geyser. What a treat! We put together this two-minute video to give folks a quick guide to the town of Calistoga and our winery suggestions. We recommend a stay in Calistoga and we’re sure you’ll enjoy it at any time of the year! Note: Cindy’s Backstreet Kitchen closed in 2018. Cindy is still operating Mustard’s Grill in Yountville. We took a very quick overnight trip to the Napa Valley to view a house that a family relative is considering purchasing. On the way, we stopped in St. Helena for lunch at one of our favorite restaurants, Cindy’s Backstreet Kitchen. Several weeks ago we read in the S.F. Chronicle that Cindy Pawlcyn had been in a car accident. The newspaper report indicated that Cindy suffered minor injuries. We asked our server how she was doing. She stated that Cindy’s injuries were extensive. She spent several weeks in the hospital and will not return to her kitchen for perhaps as long as 4 months. Our meal was excellent, but we felt something was amiss at the restaurant. Cindy is obviously missed by all. We wish Cindy a speedy recovery. I am always amazed at the number of folks who visit this winery and buy wine in huge amounts. I wonder, as probably winery owners in the Valley do, how it is that Dario Sattui is able sell all his wine out of his tasting room. 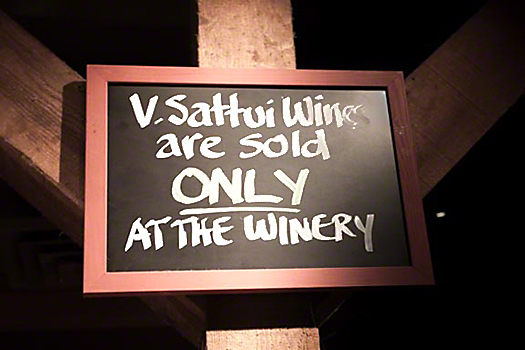 None of the Sattui wine is distributed. The tasting room is a bevy of activity. Our server was efficient and knowledgeable. He knew each Sattui wine like the back of his hand. Impressive, to say the least. By the way, visitors can try one complimentary taste of wine, otherwise it is $15 to taste a lineup of several wines. We had previously tasted the Sattui wines as well as the wines from Castello di Amorosa, Dario’s newer winery located near Calistoga. The overall quality of the wines is very high. Winemaker Brooks Painter is the winemaker for both wineries. The St. Helena tasting room has a cheese and deli shop where visitors can purchase food items and head outside for a picnic lunch. No outside wine is allowed (understandable) and no outside food. I think that is a bit stiff on the food control, but it seems to work because the expansive picnic area is very busy. I need to do more digging into the tremendous success of Dario Sattui and his wines. In the late afternoon we walked along Lincoln Avenue, the business area of Calistoga. 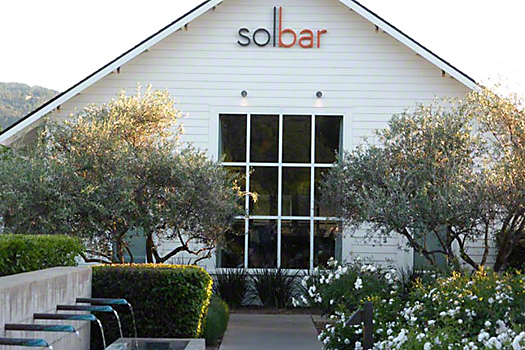 Since our last visit, there are a couple of new tasting rooms in town and one new restaurant. Do you remember Wappo, a restaurant with an eclectic menu? It closed down several years ago, but recently reopened as 1226 Washington. The menu looks great and, at the W.H. Smith Tasting Room, our server highly recommended it. We will give it a try the next time to Calistoga. At the W.H. Smith tasting room, we shared a tasting of 6 wines for $15. The wines were all delicious but expensive. The Sauvignon Blanc was $28. The lineup of Pinot Noir wines was fantastic, but again expensive. Our favorite from the Sonoma Coast was above $50. This is the top restaurant in Calistoga. The restaurant is situated in the beautiful and luxurious Solage resort. We had a lovely dinner outside in the warm evening air. The food, wine and atmosphere were excellent. Surprisingly, we found the service lacking. Slow, slow, and slower was our experience. For example, our party ordered a second bottle of wine and it took 10 minutes to arrive. The check including tip came to $390 for four. I would like to recommend this little taxi company that serves the Calistoga area. They are pricy at $5 a mile, but Calistoga is a small area. As it states in the brochure, taking the Hopper is more fun than spending a night in jail. We called the Hopper from the Solbar, and within ten minutes they were there to take us to our destination. I previously posted an article about the presence of Uber in the Napa Valley. However, they are not as yet servicing the Calistoga area of the Napa Valley. First-time visitors to the Napa Valley are often bewildered or overwhelmed. When should we go, where should we stay and dine, and most often which wineries are the best ones to visit? Let’s tackle these dilemmas one at a time. When should you visit the Napa Valley? In my book, anytime is a good time to visit the Napa Valley. No matter what time of the year, the Napa Valley has something special to offer the wine country traveler. In winter it is the mustard, the cover crops, and the bare rows of vines that delight. Spring brings bud break and wildflowers. Summer brings the warm weather and full growth to the vines. Fall means harvest of the grapes followed by the fantastic autumn colors in the vineyards. Yes indeed, any time of the year in the Napa Valley is a good time to visit. Where should you stay and dine? The main towns for lodging are Napa, Yountville, St. Helena and Calistoga. We like each town; they all offer something different in lodging and dining. We recommend you lodge within walking distance of dining. When you can walk to restaurants there are no worries about drinking and driving. In Calistoga, there is a free shuttle that runs most of the year. It will bring visitors to restaurants, wineries, and shopping and then pick you up when you are done. There are three cab companies in the Napa Valley, so taking a cab is a great option if you cannot walk to a restaurant. Yountville has the most-noted restaurant scene with five Michelin star restaurants, all within a few blocks of one another. Check our list of recommended restaurants for Napa, Yountville, St. Helena and Calistoga. Which are the best wineries to visit? We recommend that visitors to the Napa Valley Wine Trails visit between 3 to 5 wineries in one full day. More than that and you will miss something and mostly likely imbibe too much of the good life. There are over 400 wineries to visit in the Napa Valley and, if you are visiting the max of ten wineries in a two-day excursion, how does one seriously decide on which of these 400 wineries are the most enjoyable to visit? You can visit the best wineries in two different ways. One way is to follow one of our ready-made wine trails. Or you can mix-or-match the wineries within our Napa Valley wine trails. A second way is to head over to our Winery Finder and search for tasting rooms and wineries according to your likes and dislikes. The winery finder will enable you to select the best wineries to visit by various criteria. If you want boutique wineries that are family owned and have a picnic area, the winery finder narrows down the choices for you. It is a very handy tool for the first-time visitor or ones who visit the Napa Valley every few years. Lastly we encourage you to watch this informative short video on Napa Valley Travel Tips. A couple of weeks ago we decided to spend an overnight in the Napa Valley. It happened to be the same time as the Napa Film Festival activities, and almost all the lodging in the Valley was booked. Since we travel so often to the wine country, and tend to spend most of the day visiting wineries and exploring the valley, we are always looking for budget lodging. If you are spending little time in your room, all you need is comfort, cleanliness, and safety. Our friends at the Stevenson Manor suggested we try the Sunburst Calistoga. They said it was their new sister property. We booked a room that was available and off we went to the Napa Valley. After a day’s worth of activities visiting wineries, we headed to Calistoga to find the Sunburst. Where is this place? Well, it is on the outskirts of the town on Lincoln Avenue. As soon as we saw it we realized that this place had previously been a huge eyesore. It looked like a slum, run down and unkempt. Now the place has been completely redone. Each room has been remodeled and decorated with very bright colors and light. The Sunburst Calistoga opened in August of 2013. The interesting thing about the Sunburst Calistoga is that it is almost a stone’s throw away from the Solage Calistoga. The Sunburst is on Lincoln Avenue and just over the Napa River on the Silverado Trail is the Solage Calistoga. Room rates for the Solage will start about $600 whereas the typical Sunburst room will be $230 on weekends. I like giving the Sunburst the name “The Poor Man’s Solage.” Each room at the Sunburst Calistoga has a flat screen TV, a mini fridge, a single-cup coffee maker and free Wi-Fi. The Wi-Fi sent a very strong signal to our room, which was about as far away as possible from the motel office. I liked that very much. The stay at the Sunburst includes a small continental breakfast in the Lobby. The rooms are comfortable and, of course since it is new, the entire room was immaculate. There are also a hot tub and swimming pools that receive waters from the famous geothermal wells of Calistoga. The other amenity that we very much appreciate, and one that is available at all Calistoga lodging, is the shuttle service to local restaurants and wineries. We called and within ten minutes the shuttle picked us up at the Sunburst Office and delivered us to Brannan’s restaurant. When we were done dining, we called and were returned safely to our abode. We found a couple of things we did not care for at Sunburst. Janelle thought it was a little too isolated and had a motel feel to it. Another weird thing was the atrocious warning sign at the pool entrance. Perhaps it is the new code that warrants such an extreme warning. It is so outrageous that I for one would not want to step into that pool. You need to see for yourself. Maybe the powers that be will take that sign down before you visit. If you’re looking for budget lodging in Calistoga, give the Sunburst a look! We just learned that the Napa Valley Tourism Improvement District Committee and the Calistoga Chamber of Commerce have collaborated on adapting a brand new logo and slogan for Calistoga. What do think about this? I am not worried in the least that Calistoga is going to change. The logo and motto may be new, but Calistoga remains very much like it was the first time we visited in the mid 1960’s. We like Calistoga the way it is now. 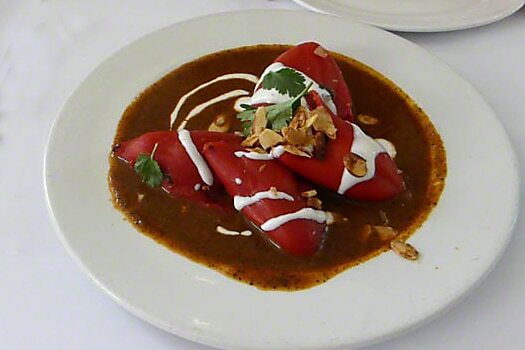 We travel up and down the Valley, but most often we hang out in Calistoga for these reasons. Primarily, it is more laid back, less chic and swanky than the rest of the Napa Valley. Lodging and restaurants are overall less expensive. Although the logo is very fancy and the motto “Make Napa Valley Yours” is inviting, I’m almost sure that Calistoga will remain the same good old-fashioned town, and be a constant reminder of what the Napa Valley was like before it became a popular wine country destination. I sure hope so! Here is a very short video showing you our favorite spots in Calistoga. Can you believe that the very first grapes are being harvested as of August 1st? These are Pinot Noir grapes used for sparkling wines. The winery harvesting is Mumm Napa and others are sure to follow soon. Word has it that, as of the beginning of August, the grapes are ripening one week to 10 days earlier than the norm. If warm weather continues, this could be one of the earliest harvests on record. Get your cameras ready and head to the Napa Valley and witness one of the most spectacular moments in the year of the grape. This is one of my favorites of the large wine tasting events open to the public. You get a chance to meet many winemakers and wine owners, and the event seems to be more civilized than some of the other ones that we attend. Patrons seem to be more serious about discovering new wines and less about seeing how fast and hard they can toss down a taste of wine. The cost of the tickets varies but if you put in the access code “wine10,” you will get a 20% discount off the ticket price. The event takes place August 17th-18th at the Fort Mason Center. Check the Family Winemakers’ Website for ticket information. Should you consider a Napa Valley winter trip in December or January? Napa Valley during these two months is undoubtedly the quietest time in this spectacular wine country. As one long-time Napa Valley resident once mentioned to me, “Winter is how the Valley used to be during the entire year long ago.” If you really want to get away, this is the time to be in the Napa Valley. It’s beautiful, serene, and most of all relaxing. Here are a few things to do in December and January in the Napa Valley. As spring approaches, we begin to think about a beautiful and peaceful wine country getaway. But if you choose the Napa area for your getaway, then things may not be as serene as you would like. The city of Napa now has a whole influx of new hotels and restaurants drawing tourists to the downtown area. Tyler Florence and Iron Chef Miyamoto have new restaurants packing in the crowds. Yountville is busy with its six Michelin-rated restaurants, fashionable shops, hotels and tasting rooms. Traffic squeezes as you approach St. Helena on Highway 29 and getting through St. Helena can be like a nightmare morning commute to work. But there is a quiet place in the Napa Valley much unchanged over time. That place is the historic town of Calistoga, at the very northern end of the Valley. It is here where you can find delightful things to do at a much slower pace.